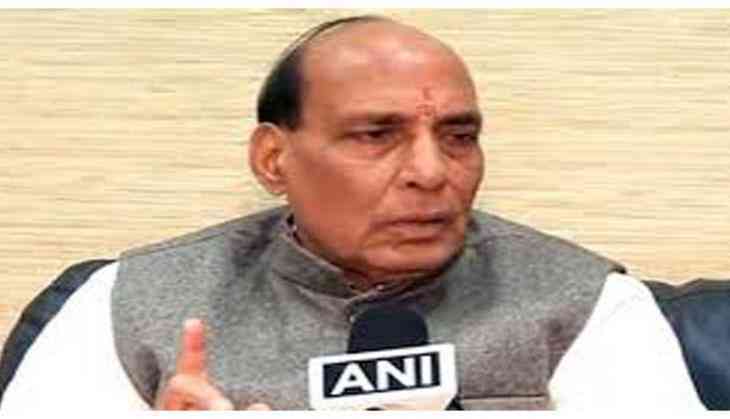 Union Home Minister Rajnath Singh on 23 December hailed the Sashastra Seema Bal (SSB) as the second largest border guarding force. Addressing the SSB on its 54th anniversary, Singh said, "The nation is proud of soldiers like you. The SSB has worked efficiently for the safety and security of the country.. It is the nation's second largest border guarding force." Singh, who was the chief guest at the event, further lauded the women soldiers in the force saying that they are no less than their male counterpart in any aspect. "In 2017, many women were inducted in the SSB and today their numbers have increased to 1,845. I am sure this number will increase more. I had issued an advisory directing that the percentage of the women should increase in the forces. I noticed the performance of the women in today's parade and I can say that they are no less than man in any field and are working shoulder to shoulder with men," he said. He also praised the work being carried out by the SSB in seizing fake notes and combatting human trafficking. "I also praise the SSB for their contribution in seizure of fake notes, illegal arms and narcotics. They have also done a commendable work to check human trafficking and child labour. They have also done a tremendous job during natural calamities," he added.